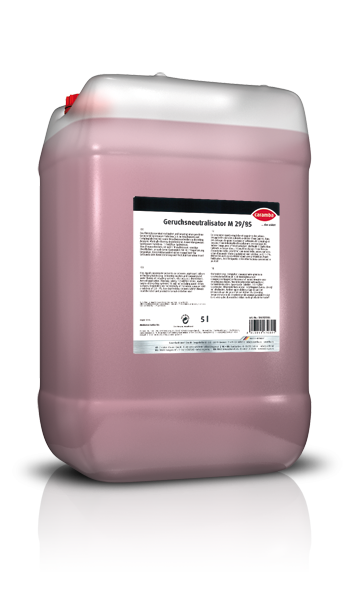 Disinfectant against putrid smells and odour forming bacteria in the waste and sewage field. Add 1-3 ml of the product to 1 litre flushing water in the flushing water reservoir of toilets. 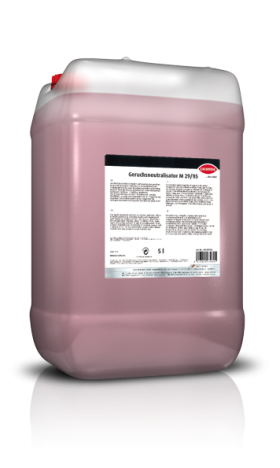 For the other applications, spray a solution with a product concentration of 0.1% to 1% (1 to 10 ml per litre water) on the surfaces and containers to be treated (the concentration depends on the odour intensity).